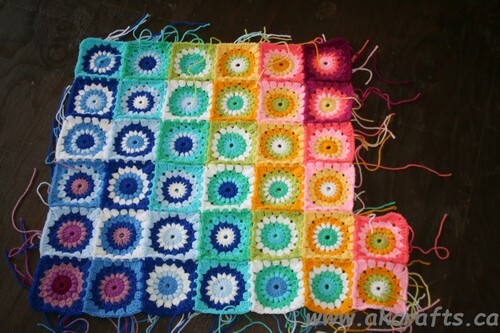 Right now I am working on a Sunburst Granny Square blanket. I took some pictures of the WIP and posted it on my Facebook Page. 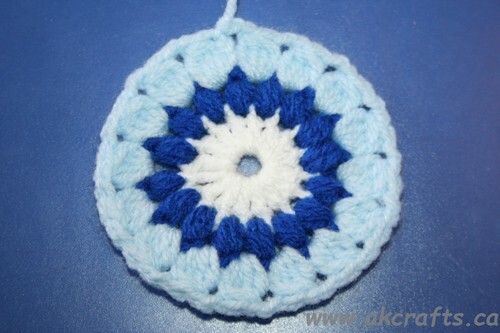 There were so many messages in my mailbox about this square and so my blogpost “How to crochet a Sunburst Granny Square” came alive. The original pattern was designed by Priscilla Hewitt and has more rounds. My Sunburst Granny Square has only 4 rounds and I love it how it looks. Half double crochet (hdc): yarn over, insert hour hook in your next stitch and yarn over again. Pull your loop through your stitch (now you have 3 loops on your hook). Yarn over and pull through all 3 loops on your hook. 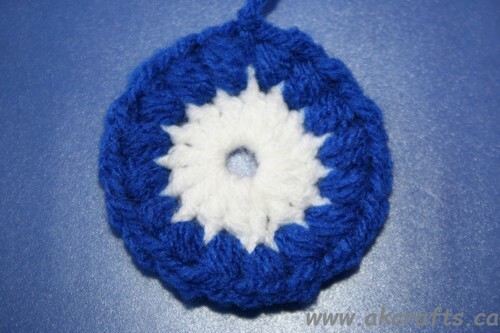 Double crochet (dc): yarn over and insert your hook in your next stitch and yarn over again. Pull your loop through your stitch (now you have 3 loops on your hook). Yarn over and pull through 2 loops on your hook (you have now 2 loops remaining on your hook) Yarn over and pull through your 2 remaining loops on your hook. 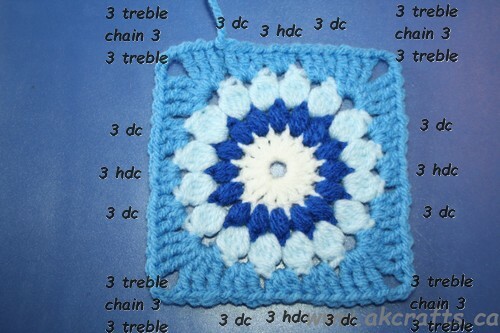 Treble stitch (tr): yarn over twice and insert your hook in your next stitch and yarn over again. Pull your loop through your stitch (now you have 4 loops on your hook). Yarn over and pull through 2 loops on your hook (you have now 3 loops remaining on your hook) Yarn over and pull through 2 loops on your hook (you have now 2 loops remaining on your hook) Yarn over and pull through your 2 remaining loops on your hook. Yarn over and draw your yarn through all 7 loops at once. Chain 1 to lock your Puff stitch. Yarn over and draw your yarn through all 5 loops at once. 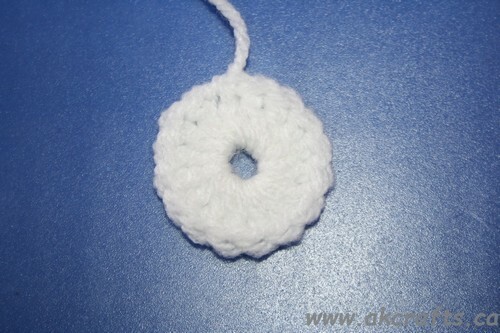 Chain 5 and join with a lip stitch to form a ring. and join with a Slip stitch to the top of your beginning chain 4.